The beginning of a new year means a fresh new start, and what better way to kick start 2015 than encompassing the next big interior trends in your home? Delving into the world of tropical prints, sophisticated colour palettes and innovative designs, next seasons trends are already shaping up to be exciting and creative as ever. Spring Summer 2015 is all about the power of pattern and how print is important as a decorative element. 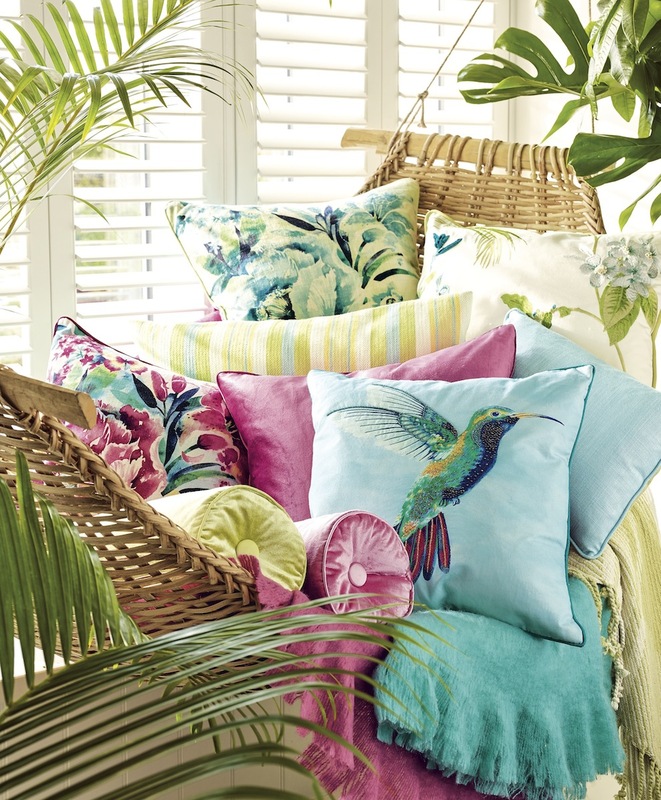 As we step into spring, our Palm House story takes inspiration from tropical paradises – think bold striking patterns with exotic elements. 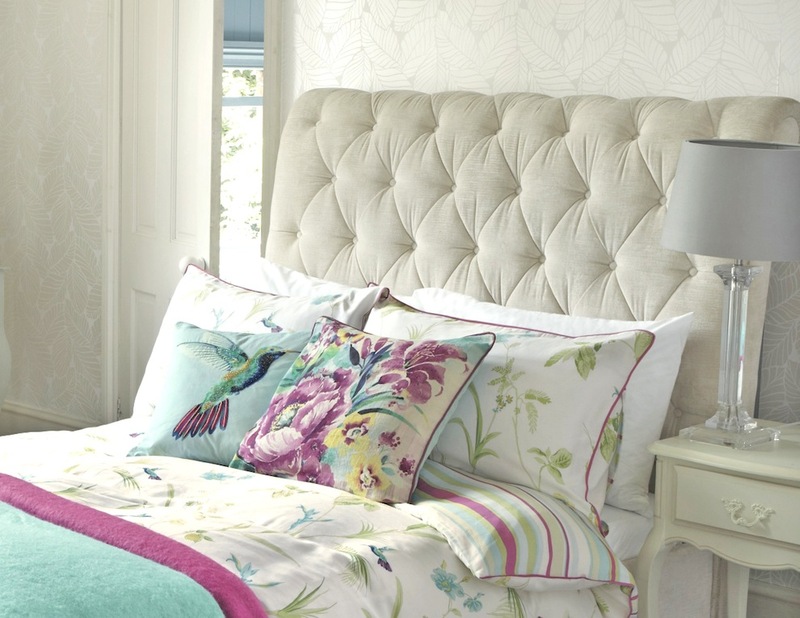 Our Orchid Bedlinen is a beautiful floral print that has been taken from our archive. Given a brand new lease of life, we added a painted hummingbird motif flying in amongst the orchids and the tropical foliage to give it a fun unexpected element to the design. The hummingbird theme continues across the range with the beautifully hand beaded and embellished cushion, which when combined with our Francesca Orchid cushion it will certainly add a fun update any room this season. 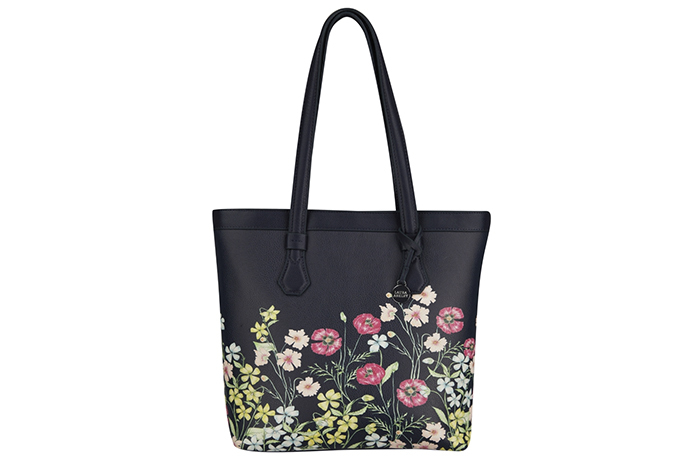 Introducing our exciting new digital design, the Francesca print has evolved from a hand painted piece, to becoming one of our leading design in our Spring Collection. This versatile print makes quite the appearance across our home furnishing ranges, including a drape fabric, cushions, dressing room accessories (including our pretty vanity case) and a dining range that certainly calls for a delicious afternoon tea! Another key seasonal trend for spring is our range called ‘Casual Country,’ this story celebrates British crafts and the ideas of locally produced goods and a relaxed style of living. Our Bluebird print feels really fresh in this story, the bold silhouette style of printing gives the effect of block printing in a much more modern way. 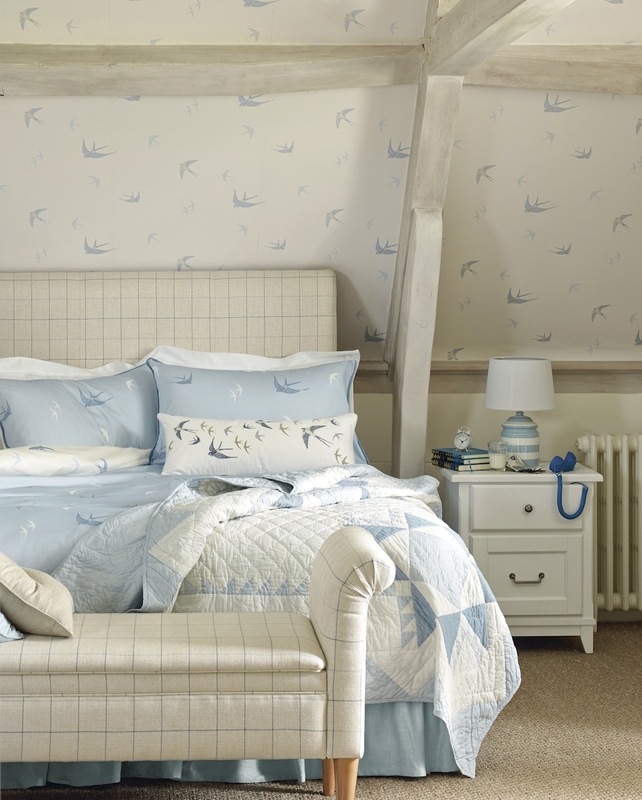 Featured on our bedlinen and wallpaper, this range coordinate wonderfully with the added depth of colour in the seaspray ground. This print would certainly make any bedroom an inviting place to stay! 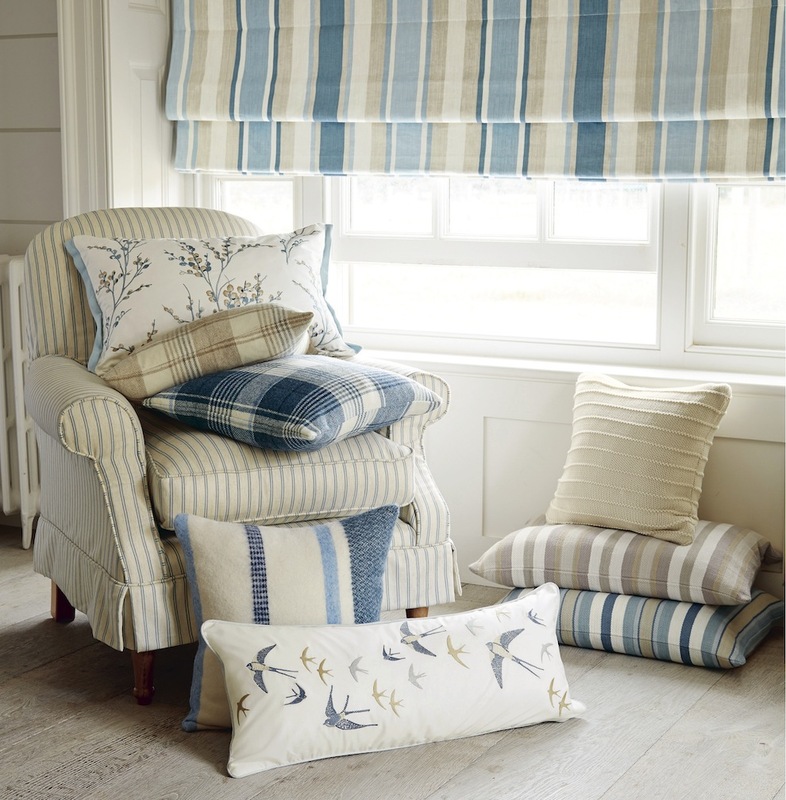 Another must-have pick from the range is the Bluebird cushion. Experimenting with contrasting stitching styles, combining a hand-cross stitch with sateen stitches, it achieves that one of a kind feel and is a great way to bring texture to your interior. 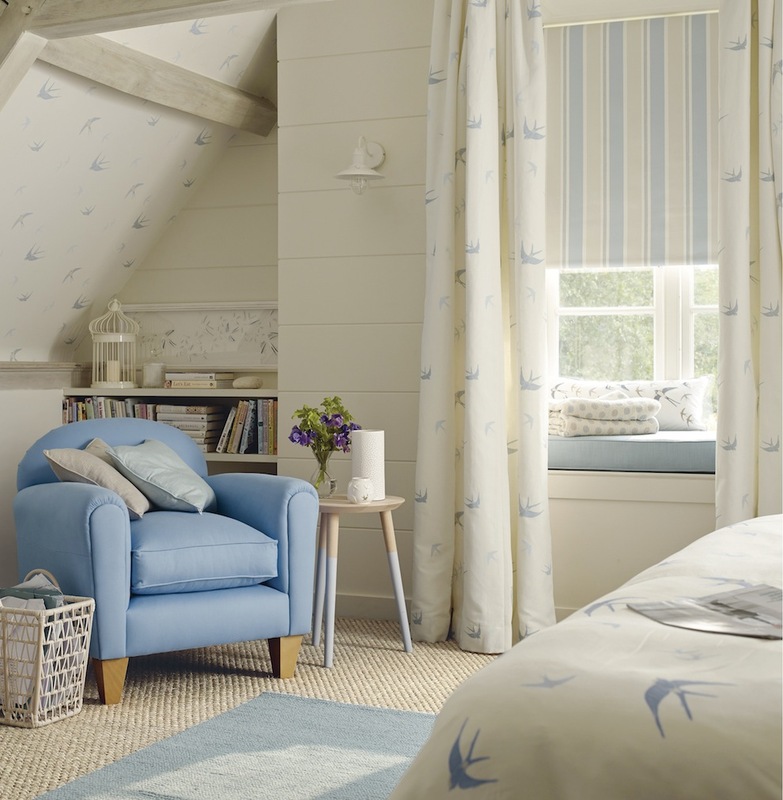 Our furnishing accessories in this collection really reinforce the craft element of this story, especially the Sandown Quilt. Hand patched together and then quilted, it could be mistaken for a family air loom! 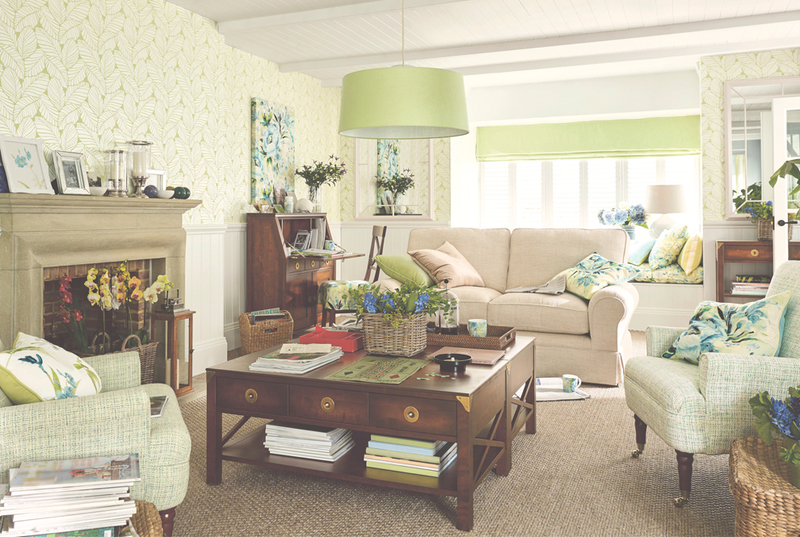 We hope you like our spring collection – be sure to tweet us snaps of our new designs and patterns in your home. We would love to see them! Which interior trend takes your fancy? 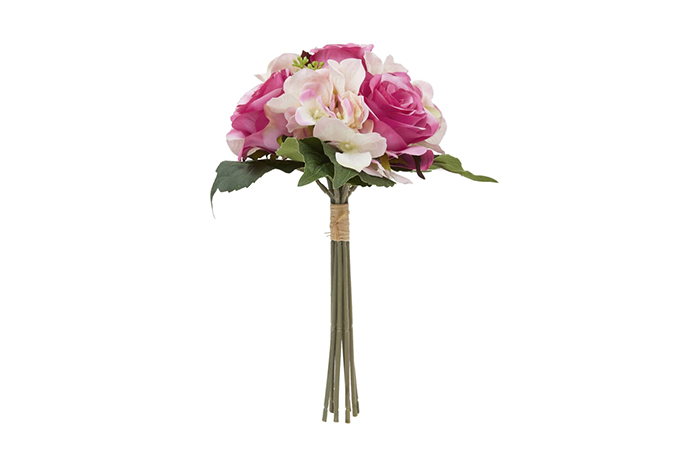 We’re certainly feeling inspired by the tropical trend, the Palm Print is certainly transporting us to a faraway climate! Make a head start on your interior trends for the season ahead and take a peek at our brand new arrivals, featuring many our new exciting collections as featured above. 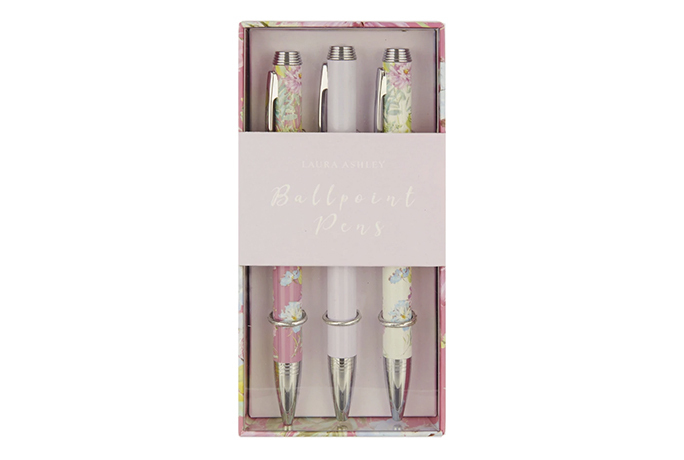 I did have a Laura Ashley card until I was given a time to use it or else it was cancelled and that time I,did not want anything.but feel I should,have still been able to keep the card as there would be times when I would have used it.